So on my last visit to the famous “Darra Bazaar” in Darra Adam Khel, I happened to come by this little monster of a gun, the CZ 45. The result was an impulsive purchase which was quite manageable. 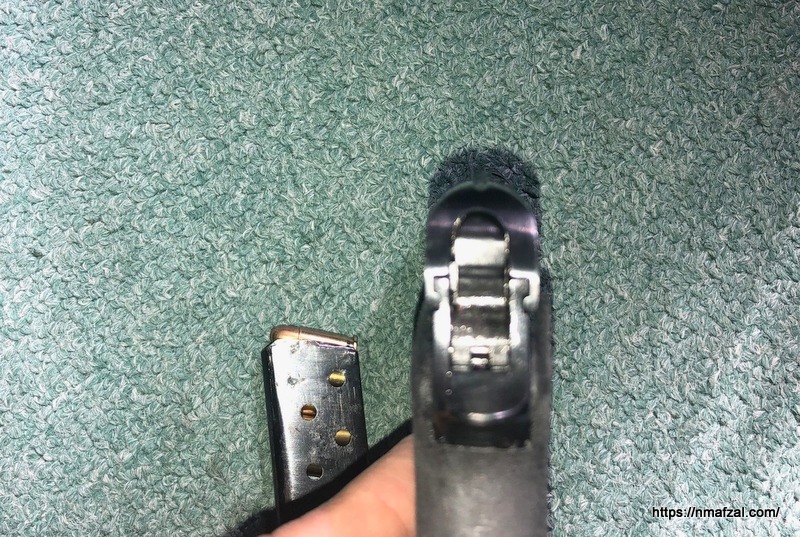 The CZ 45 is a semi-auto ,blow-back pistol chambered in . 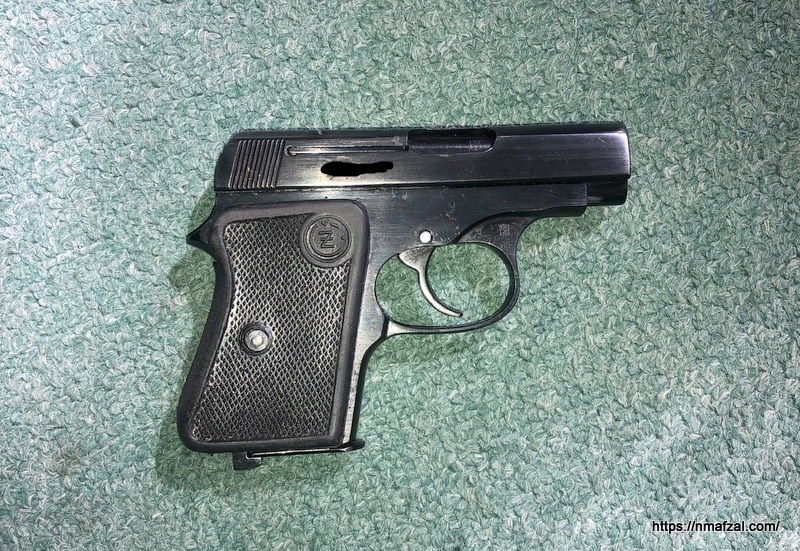 25 ACP, developed by the famous Czech firearms company Česká Zbrojovka. 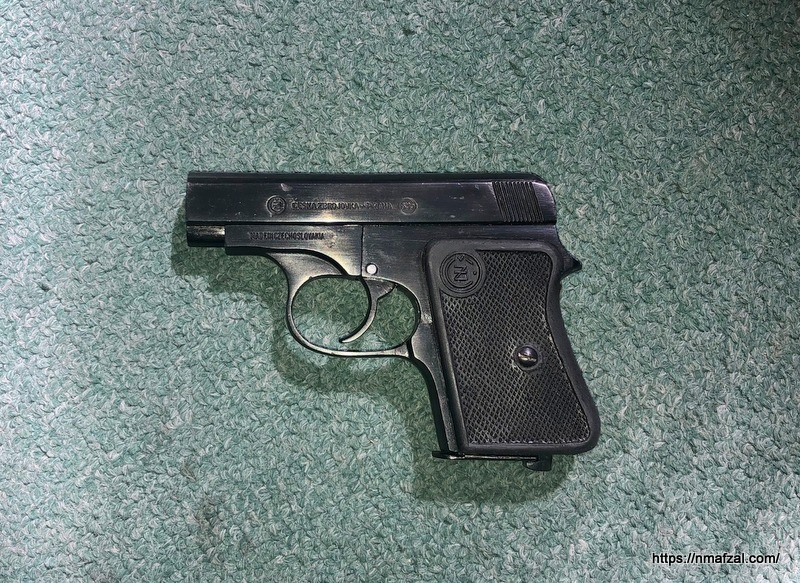 It is a very small handgun which in my opinion falls in the category of “mouse guns”, very small, very light, ultra-concealable and reliable. 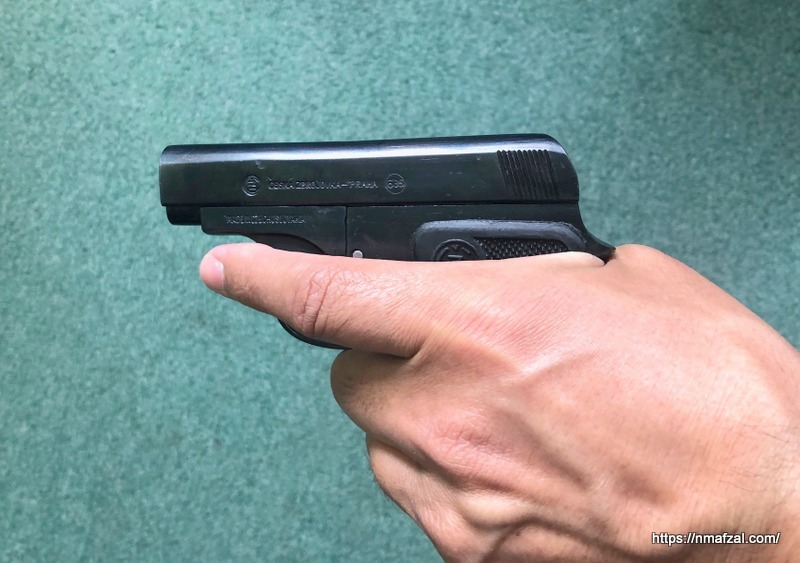 This is a no bells and whistles handgun that you can hide in your shirt or trousers pocket without leaving an impression or trace that you are actually carrying a firearm. 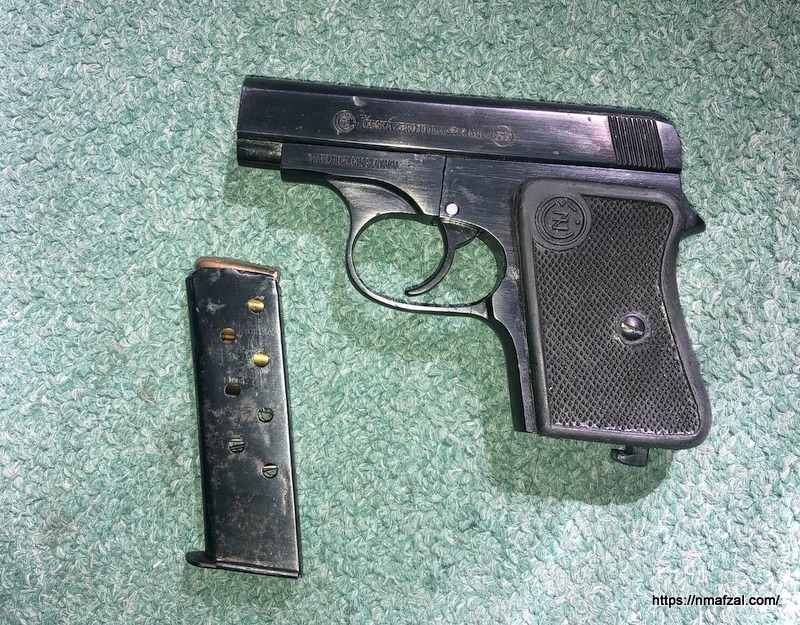 The pistol was developed somewhere in 1945 and is being produced to this day.